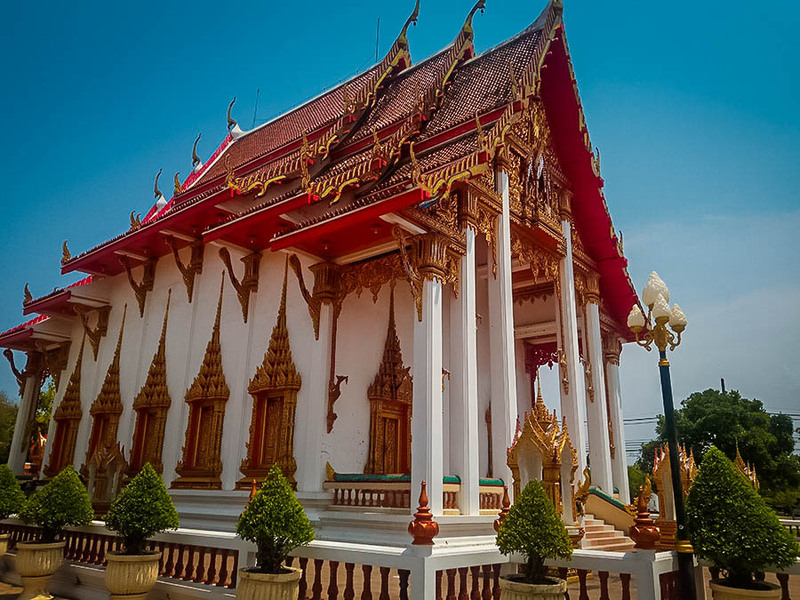 Phuket attracts tourists not only because of its white sand beaches, but also because of its multi-cultural attractions, scrumptious cuisine and sacred Buddhist temples. For a hassle-free city tour and to save money on transportation, we booked a tour package which includes a lunch buffet. The first part of the tour is a visit to some souvenir shops. We visited a t-shirt factory where you can buy shirts at a much cheaper price and some snack shops. 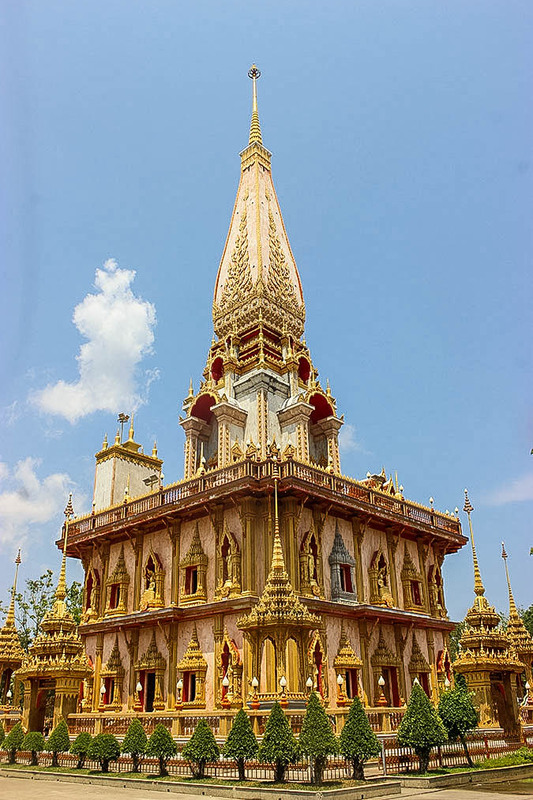 The first tourist attraction we visited is the Wat Chalong Temple. This is a big place with several different temples. Tourists are welcome but respect should always be observed. Noise should be kept at a minimum and a dress code should be followed when entering the temple (no bare shoulders and knees must be covered). Shoes are also never allowed inside the temple. 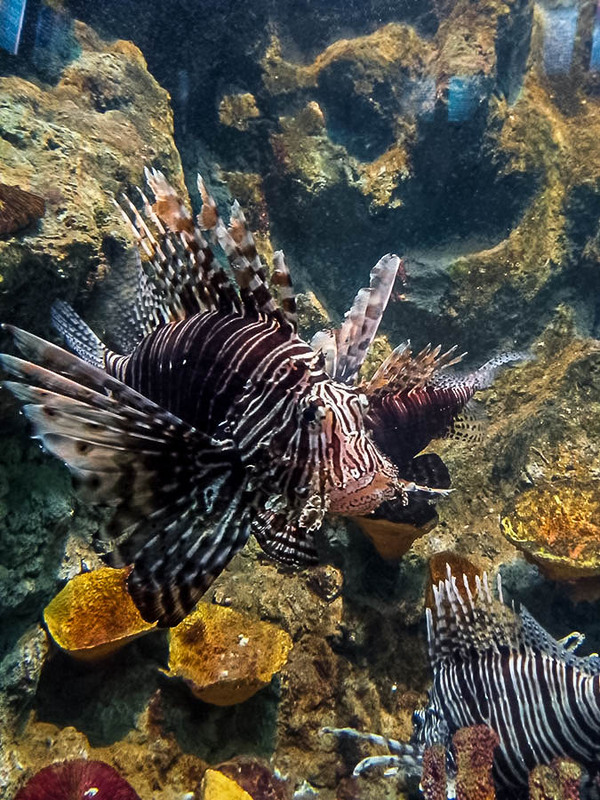 Phuket Aquarium has thousands of exotic fish, corals and other marine creatures. The main attraction is a large tank with a tunnel through its center although the tunnel is only few meters long. In the tunnel, you'll be surrounded by a swarm of groupers, sharks, turtles and more. 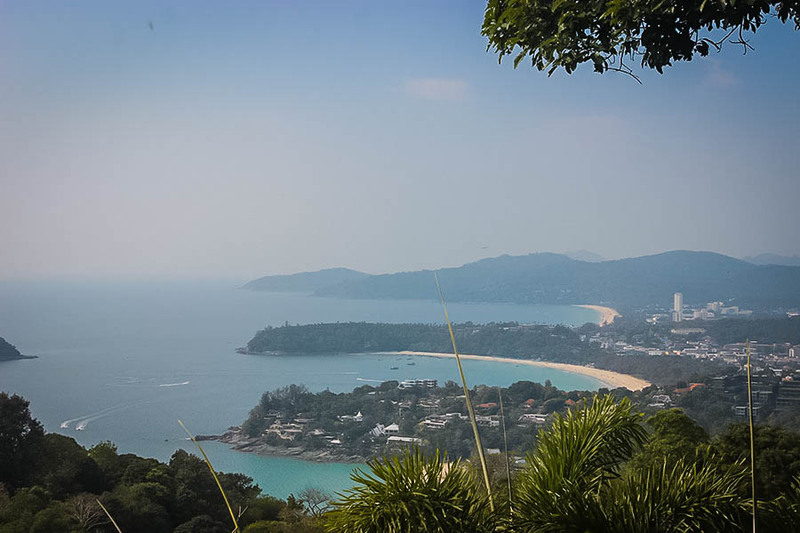 Karon Viewpoint is a destination for picturesque views of the three beaches Kata Noi, Kata & Karon, the ocean and lush island surroundings. 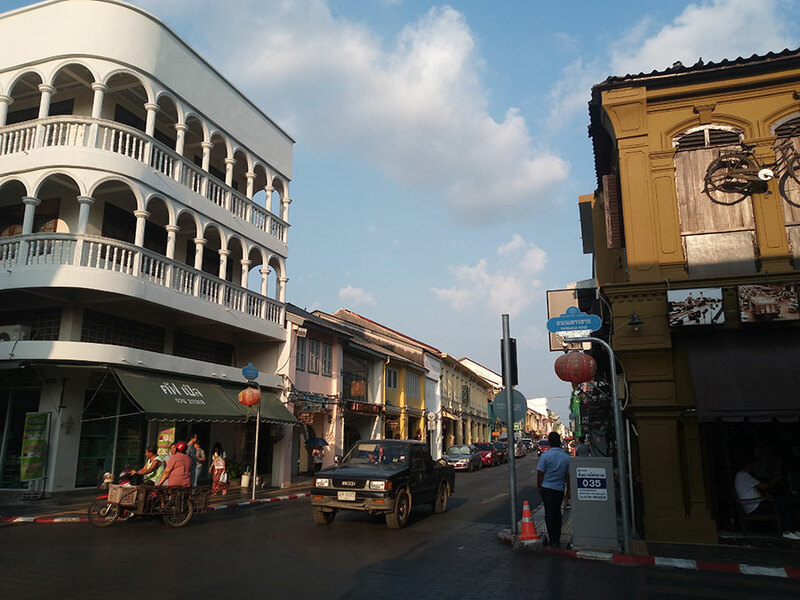 Phuket Old Town is the historical center of Phuket City. It has beautifully preserved shop-houses built in Sino-colonial architecture. It has many cafes, coffee shops, bars boutiques and souvenir shops making it a very lively place to hang out. What I like about Phuket is it's lively and peaceful at the same time. Delicious and affordable Thai food are also almost in every corner of Phuket. 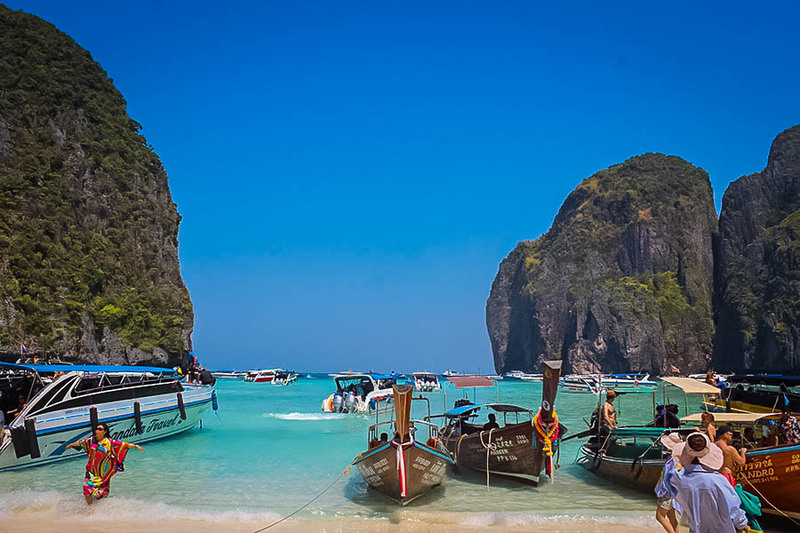 Phi Phi Island in Phuket, Thailand is popular for its limestone cliffs, clear turquoise water and white sandy beaches. There are two options to get to Phi Phi Island: ferries and speedboats. The main port is Rassada Pier in Phuket Town. There are also travel agencies offering island hopping packages. So for a hassle-free trip to the island, we did a boat tour with Klook. They use speedboats for the tour which are a lot faster than ferries. The tour package also includes a hotel transfer service. 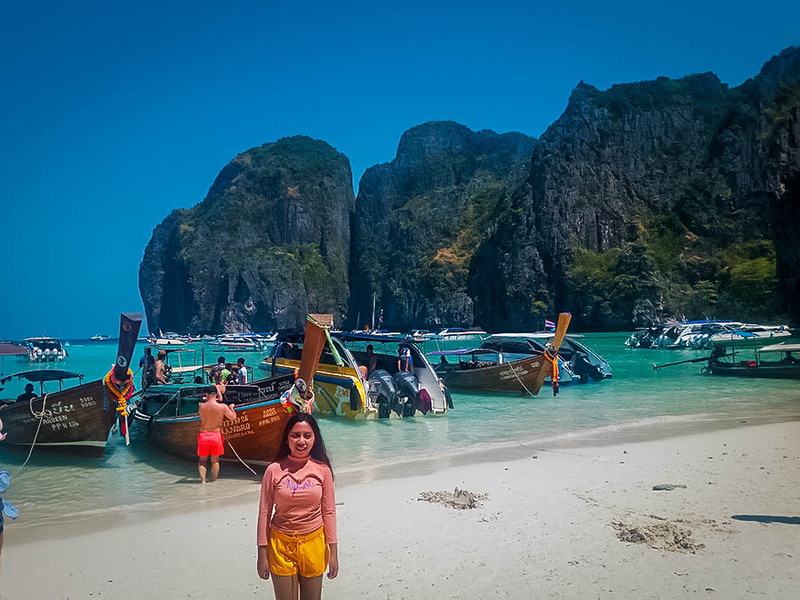 The first beach we visited is Maya Bay, the location of Leonardo DiCaprio's Hollywood film 'The Beach'. The place was crowded when we arrived but the limestone cliffs reminded me of El Nido and the white powdery sand of Boracay. 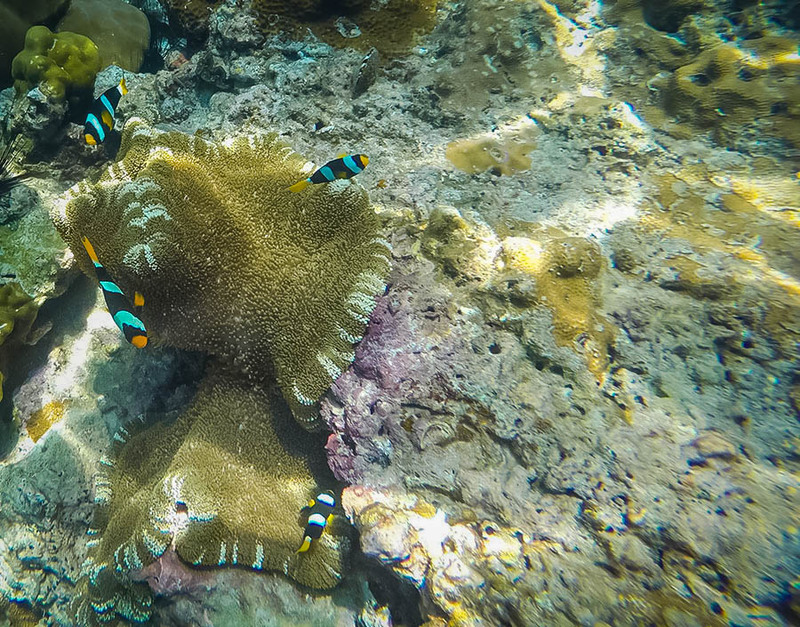 And of course, no trip to Phi Phi Island is complete without snorkeling. 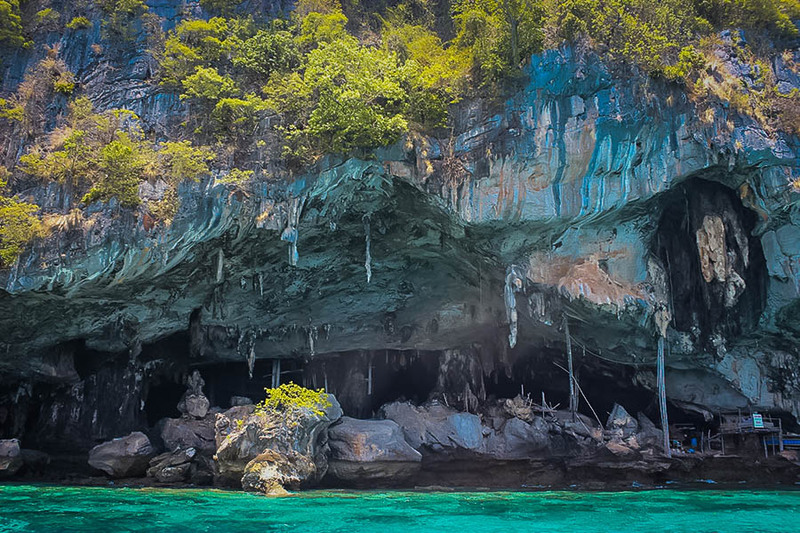 One of the most notable sites that we visited in Phi Phi Island is the Viking Cave which is located at the bottom of a tall limestone cliff. The cave has wall paintings as well as a site for harvesting swiftlet birds' nests which can be used for making traditional Chinese soup. 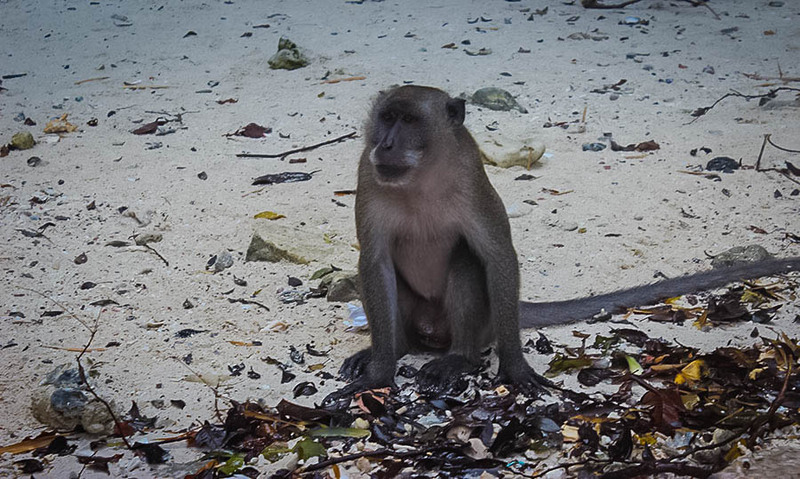 One of the highlights of our trip is our visit to the Monkey Island. 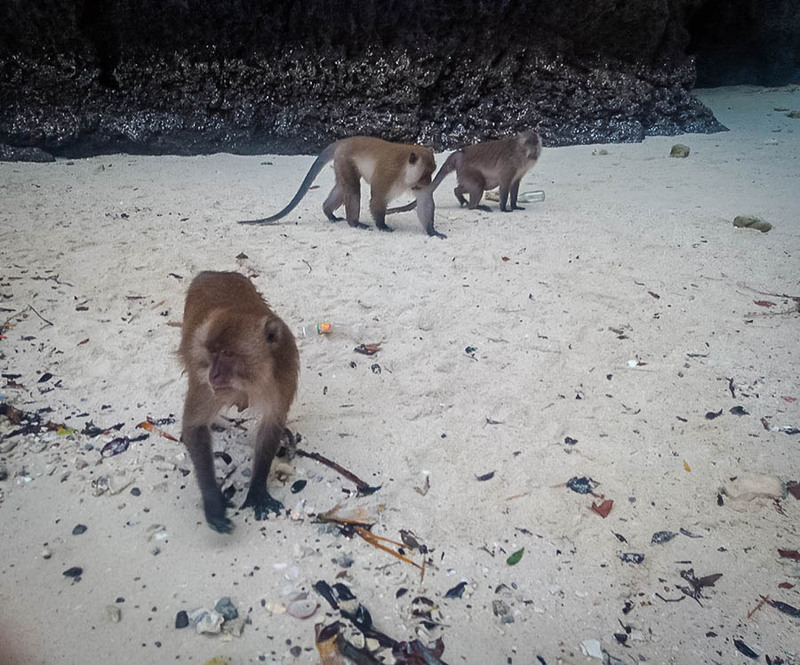 We were warned to be careful though as these cheeky monkeys are known to steal unguarded items. 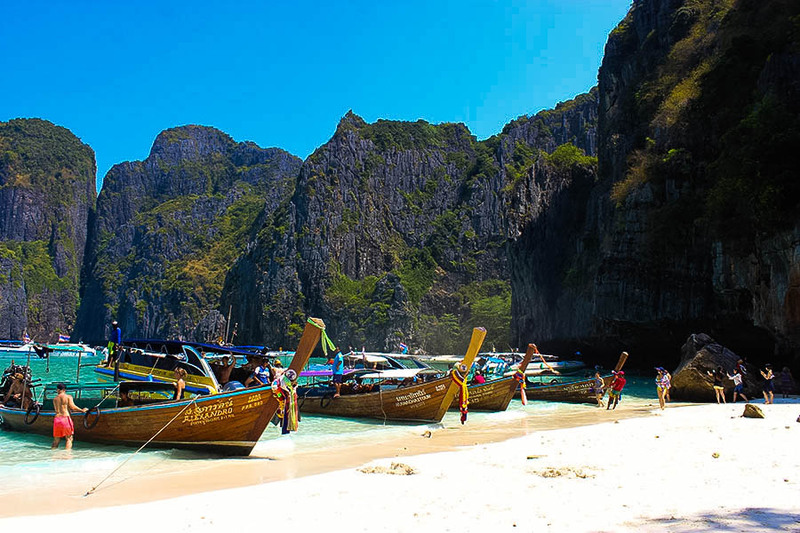 Whether you like snorkeling, diving, trekking or just relaxing, Phi Phi Island has something for everyone. So make sure to visit the island if you are in Phuket. 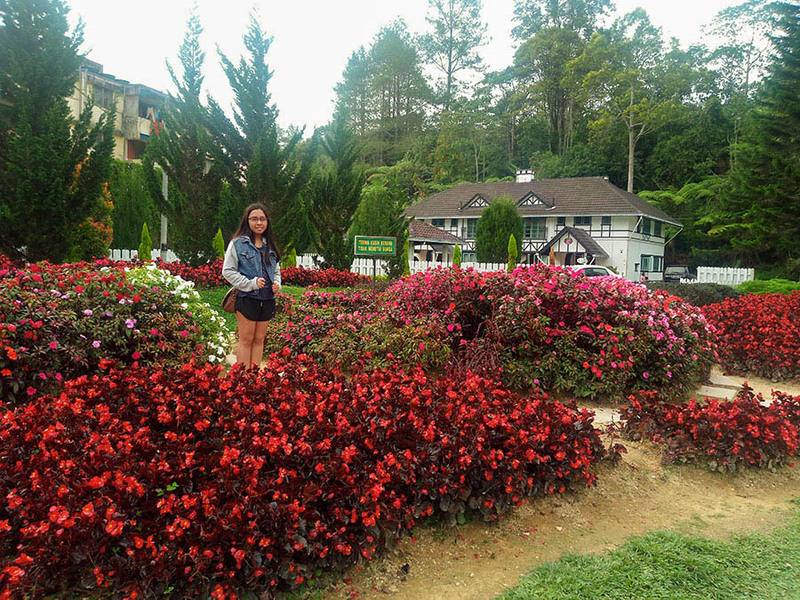 Cameron Highlands, located in Pahang, is Malaysia's most expansive hill station. The highlands is named after the British expedition leader, William Cameron. Because of British settlement in the 1800s, hotels around Cameron usually have colonial characteristics. 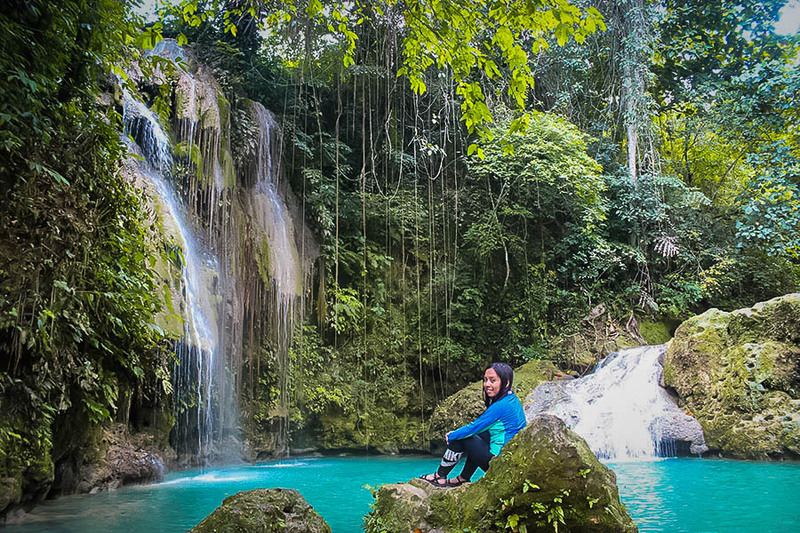 Surprisingly, the place is still an affordable place to visit despite its popularity. Here are some of the places you can visit in Cameron. 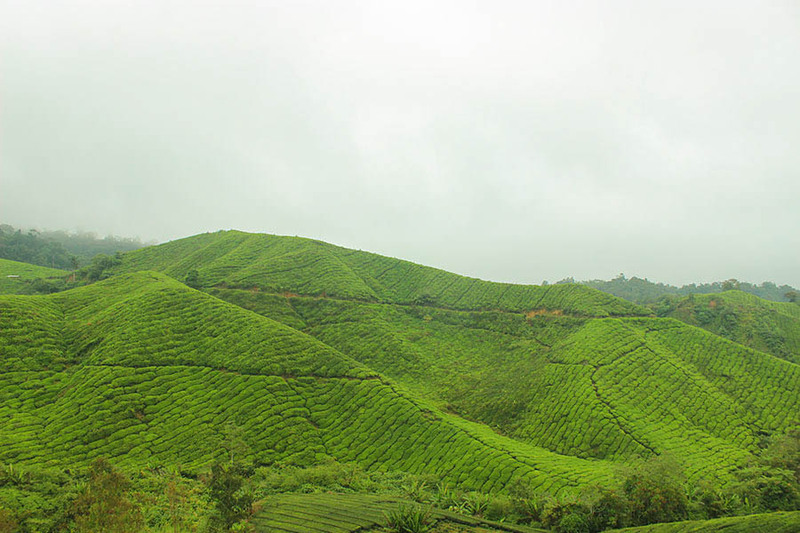 The cold weather in Cameron Highlands makes it an ideal place for cultivating tea. 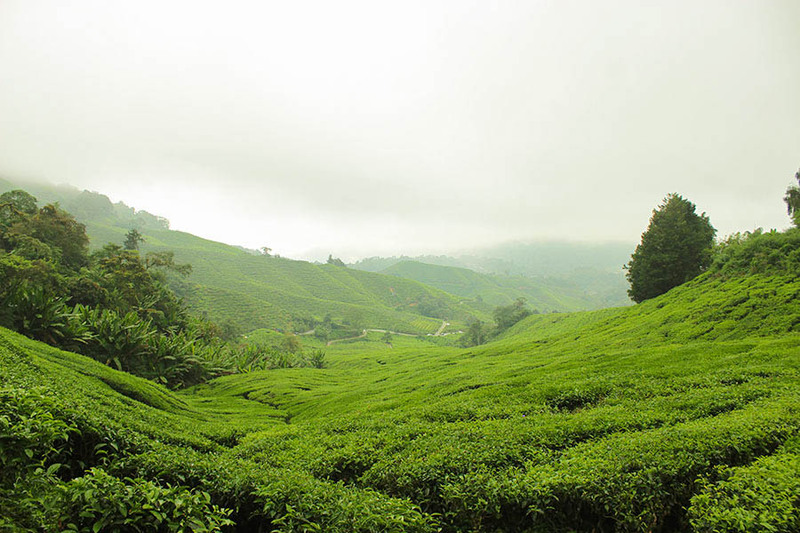 The largest tea plantation in Cameron is the BOH Tea Plantation. It was founded in 1929 by the British businessman, J A Russel. It is still owned by the same family up to this day. 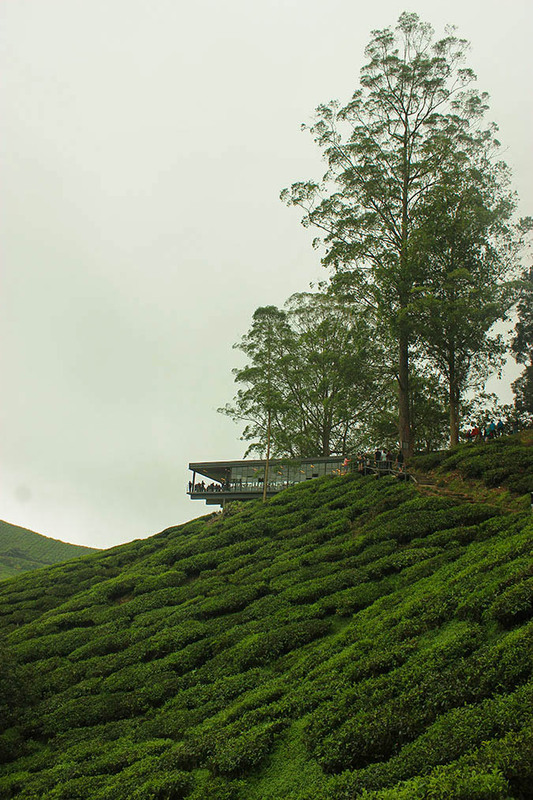 And the tea plants we see today are the same plants that were planted in the 1920s. They have a factory tour where you can see how teas are processed and a cafe where you can buy cakes and tea while enjoying the view. 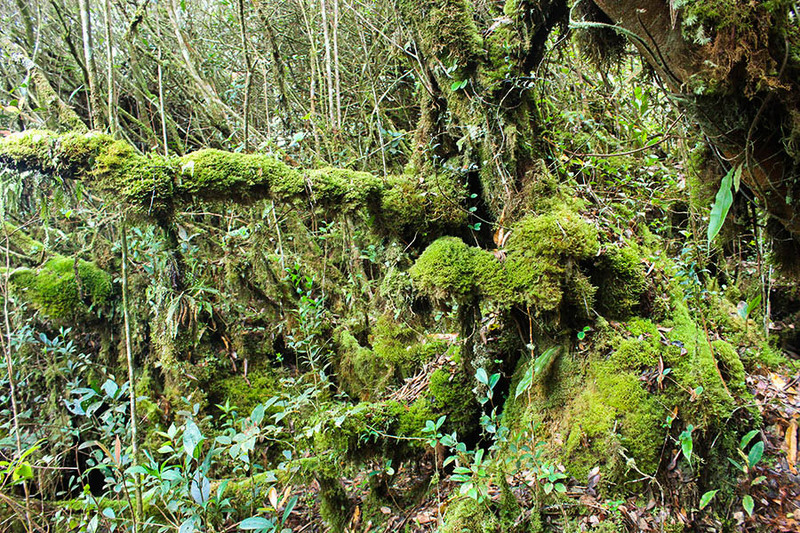 The Mossy Forest is located at the slopes of Mount Brinchang. The forest strips moisture from the laden clouds giving the trees a dwarfed appearance. 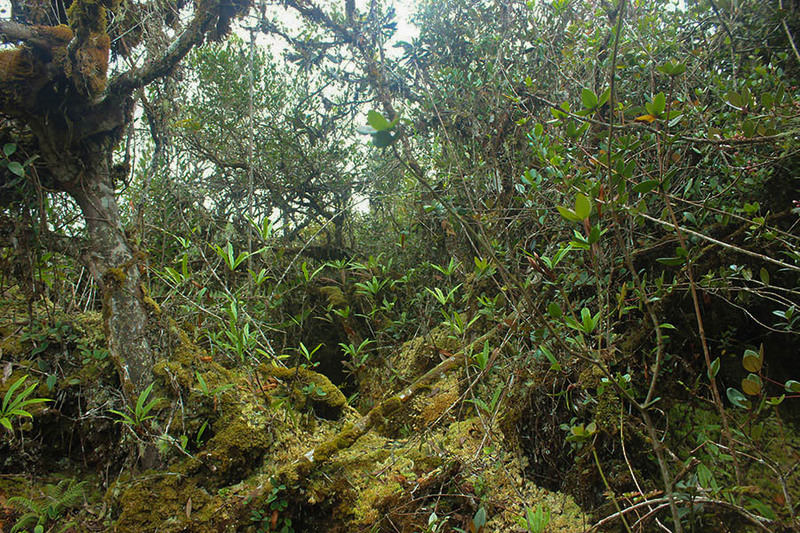 Aside from the moss covered trees, you can also find wild orchids, pitcher plants, ferns and more in the mossy forest. The mossy forest gives hiking enthusiasts the opportunity to enjoy nature in its most original form. MARDI Agrotechnology is a 42-hectare agricultural station that's open to the public. 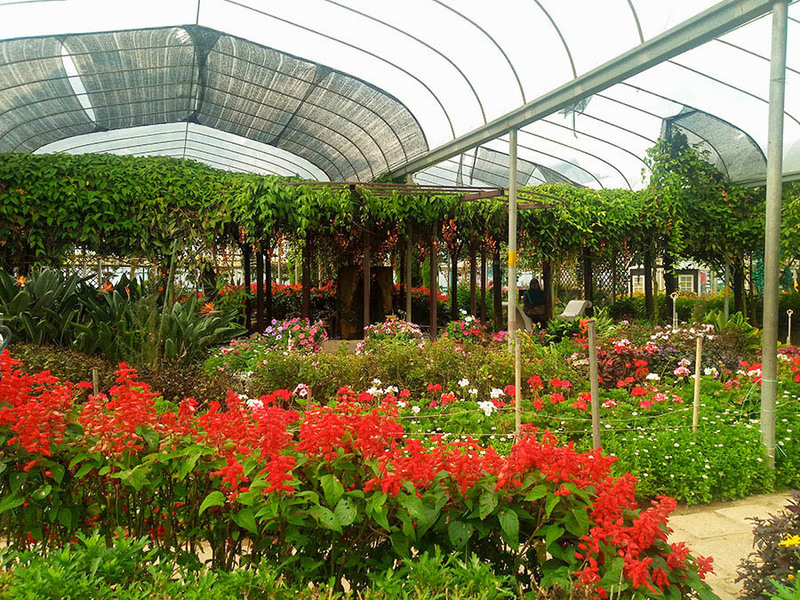 Within the park, you can explore various flower gardens, plant nurses, farmlands and a small tea plantation with factory. They also have a strawberry farm where you can buy and eat strawberries. 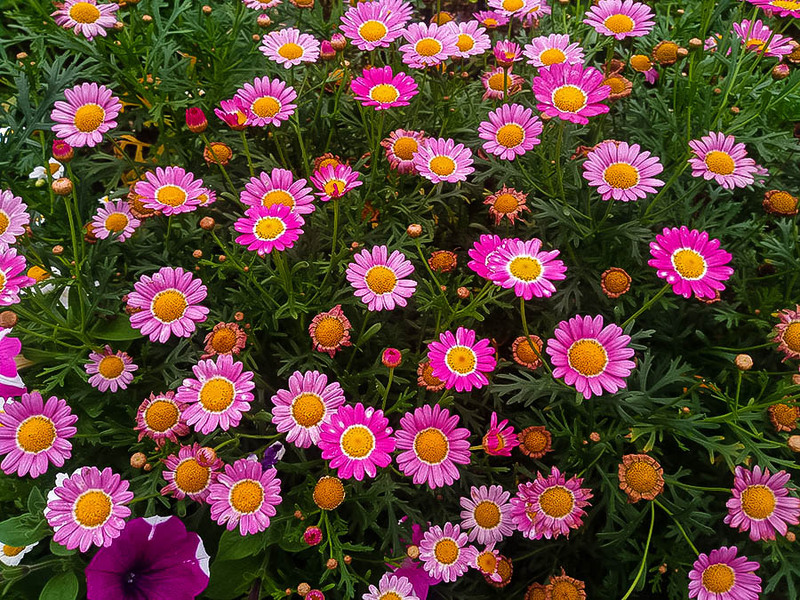 The cold weather, fresh air and scenic views definitely make Cameron Highlands a great escape from the bustling city of Kuala Lumpur. Mt. 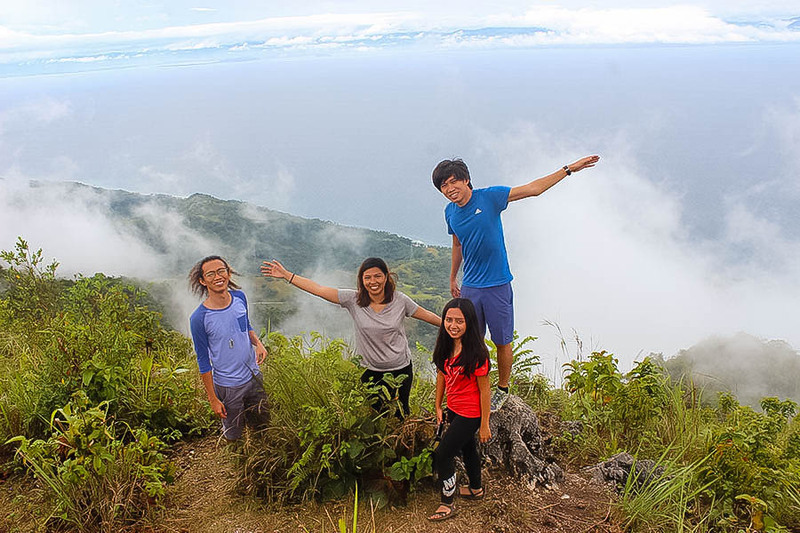 Lanaya in Alegria, Cebu stands at around 700 meters above sea level. 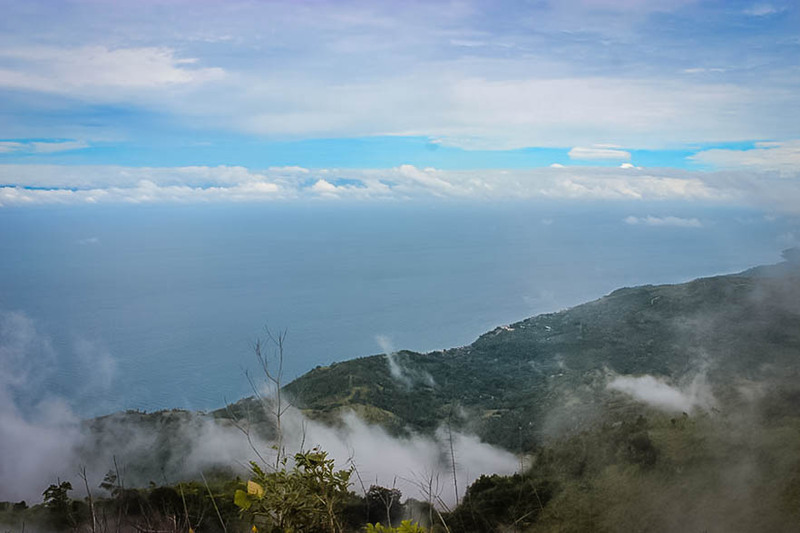 The peak of the mountain provides a panoramic view of the ocean. 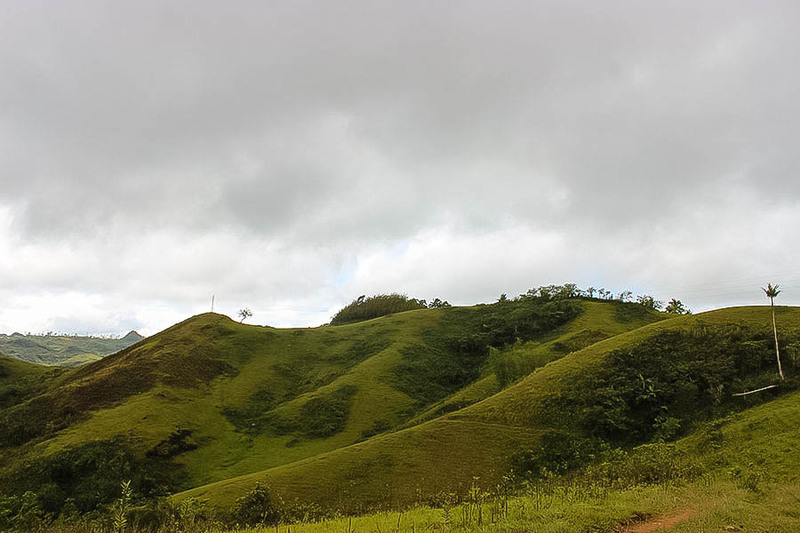 There are two trails to the peak: Lumpan & Legaspi. 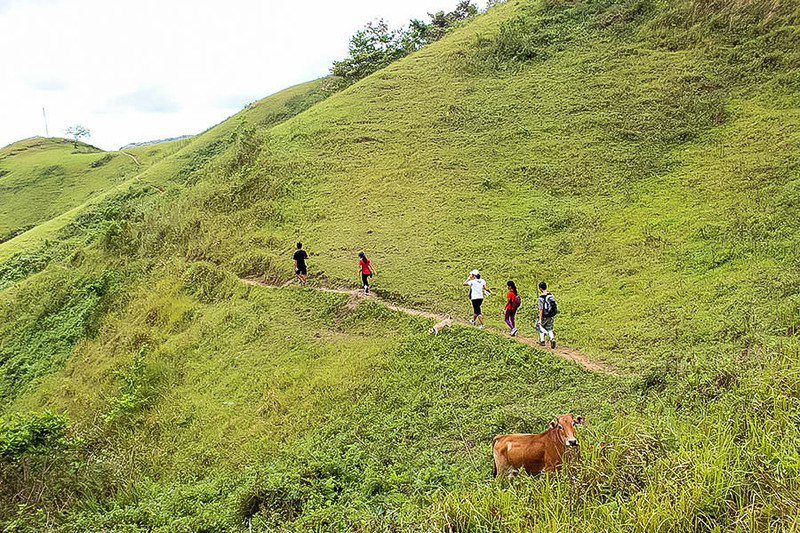 Lumpan is the easier trail and you can reach the peak in an hour via this route. 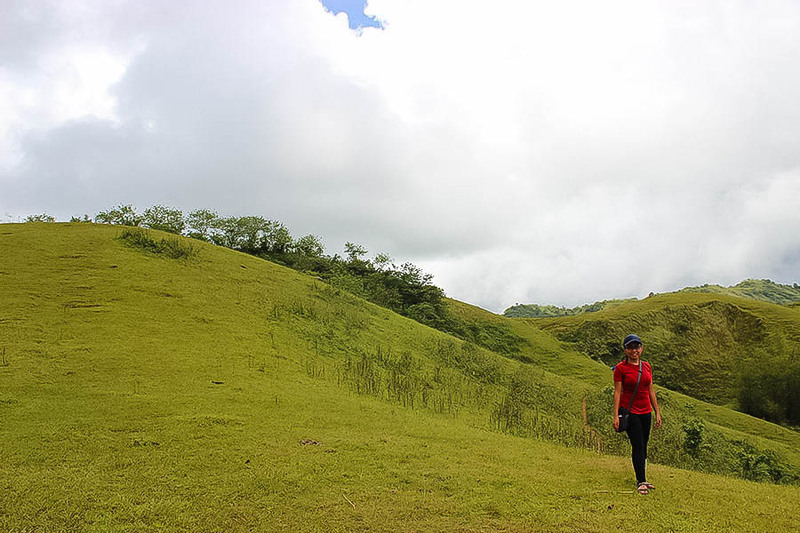 Legaspi is the more challenging trail and the average angle of ascent throughout this trail is 50-60°. To go to Mt. Lanaya via public transportation, ride a bus bound for Alegria via Bato, Barili. Then, ask the driver to drop you at the town proper. Then, take a habal-habal to Brgy. Lumpan. In our case, we also hired our habal-habal drivers as our guide to the peak. It rained before our climb which made the ground a bit slippery so wearing a trekking footwear really helps. 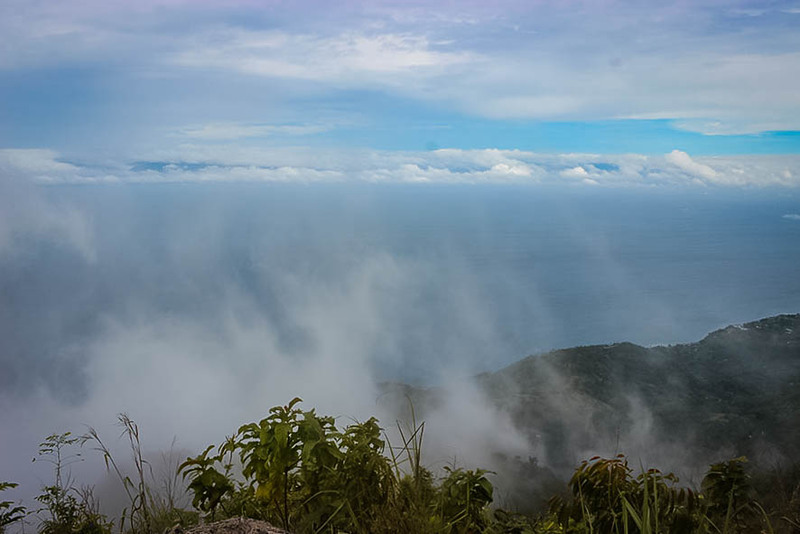 But thanks to the rain because we enjoyed the sea of clouds when we reached the top. The peak of Mt. Lanaya is called Kalo-kalo peak. After descending, we decided to cool off in Cambais falls. After a short motorcycle ride, we walked around 1.5 kilometers to get to the falls. 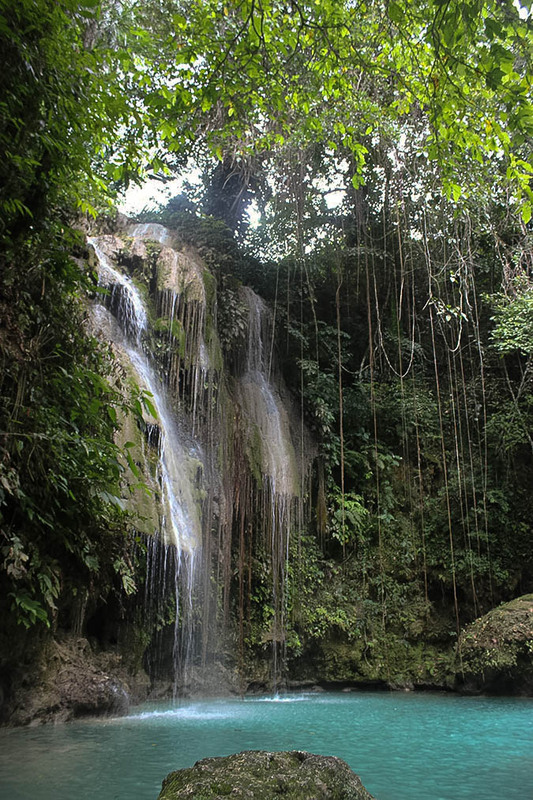 Cambais falls in Brgy. Guadalupe, Alegria has three levels. We took a dip in the pool in the first level. This is where trekkers usually stay. Mt. 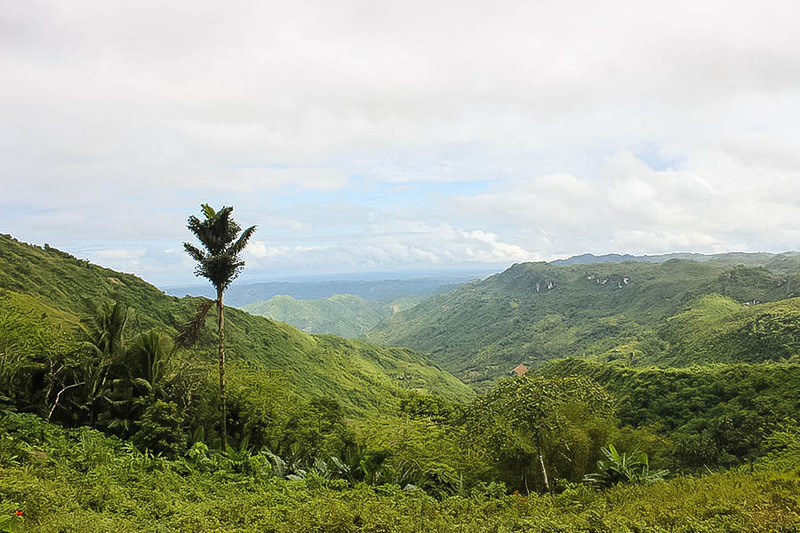 Mago is one of the easiest and scenic climbs in Cebu. The trek is only one to two hour long depending on your pace. 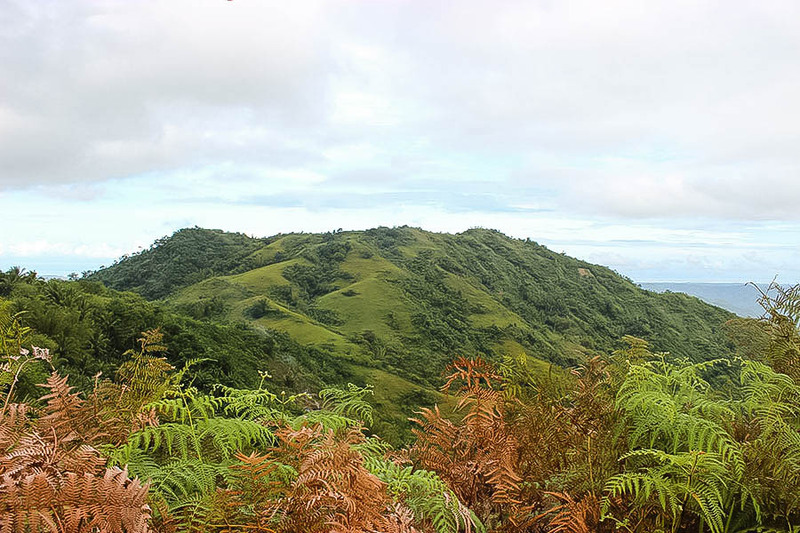 The endpoint of the trek is the boundary of three towns Carmen, Danao and Tuburan. At Cebu North Bus Terminal, ride a bus bound for Carmen. Inform the bus driver to drop you at Carmen Public Market. You can buy food and drinks or eat breakfast at the market. Then, hire a habal-habal (motorcycle) to bring you to Brgy. Santican which is the starting point of the trek. You can hire a guide to lead you to the peak. The guides are usually kids who are locals to the area. There are two trails to Mt. Mago, one is a bit challenging and the other is the easier trail. We first went for the challenging trail. It isn't really hard but it's mostly ascent which is tiring. We had lunch after reaching the peak of Mt. Mago. Don't forget to give drinks and food to your guide too. After eating and resting, we began our ascent. I personally like the views from the second trail more than the first trail. 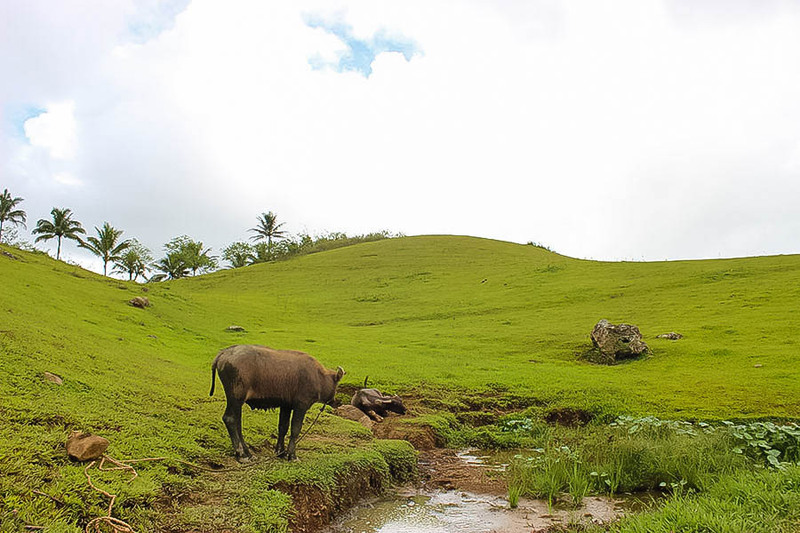 We also passed by some cute water buffaloes. After finishing the trek, we had snacks at a small store in Brgy. Santican. I loved it there because the locals are friendly and they don't overprice nor scam the tourists. 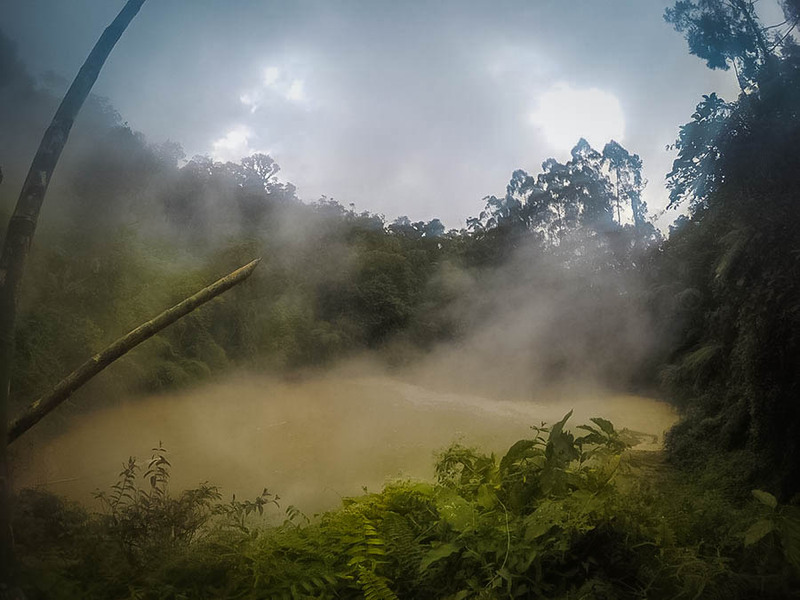 Heated by underground volcanic vents, Lake Agco has boiling hot water and sulfuric mud. 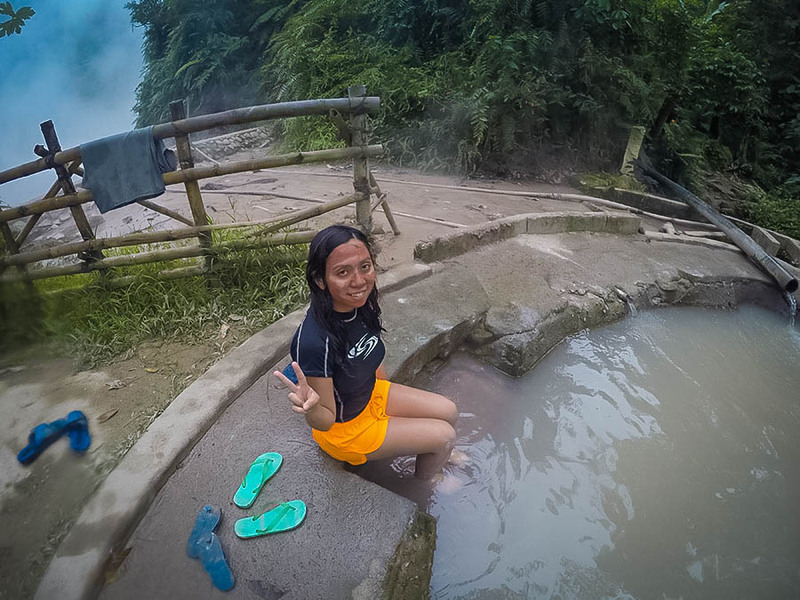 Aside from the boiling lake, there are also cold springs which the management uses to control the temperature of their pools. The lake is located at the foot of Mt. 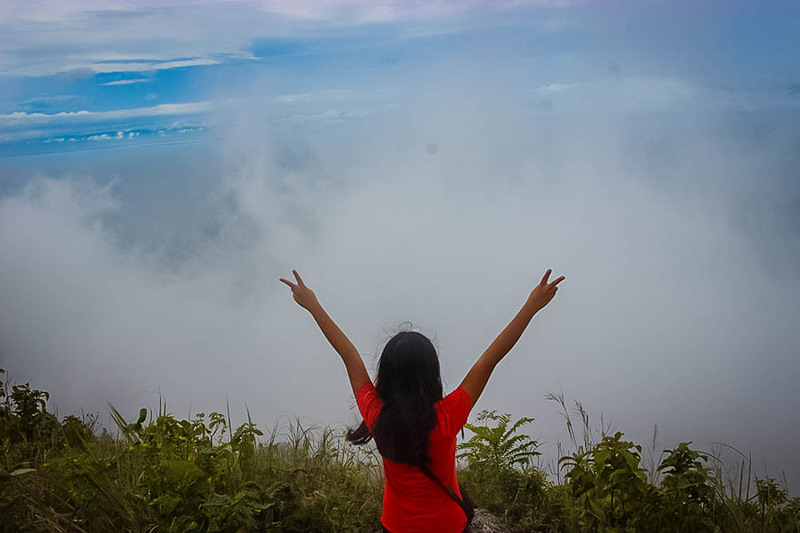 Apo, the highest mountain in the Philippines. 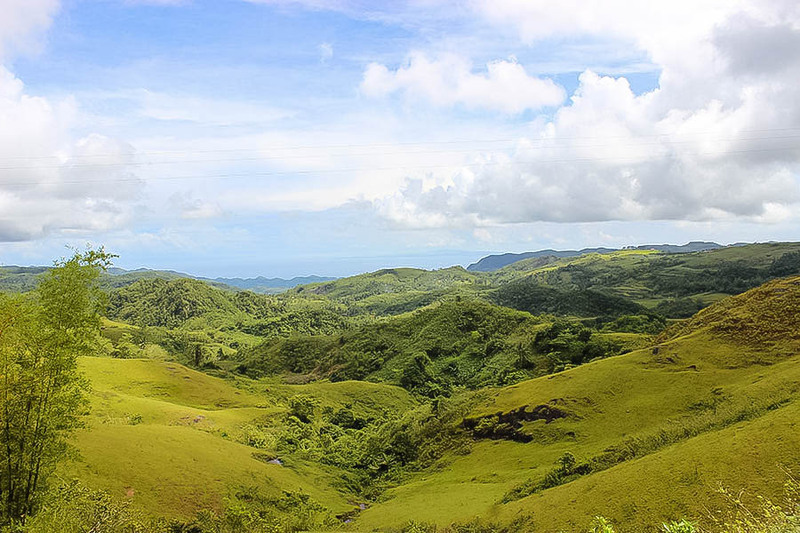 It is inside the ancestral lands of the Manobo tribe. It's also considered a sacred home of the Manobos so utmost respect should be observed when visiting. The entrance to the lake is ₱ 25. One of the things I like here is the natural mud mask. It's free but you can donate any amount of money. You can put on how much mud mask you want but you're required to rinse it before leaving the area. 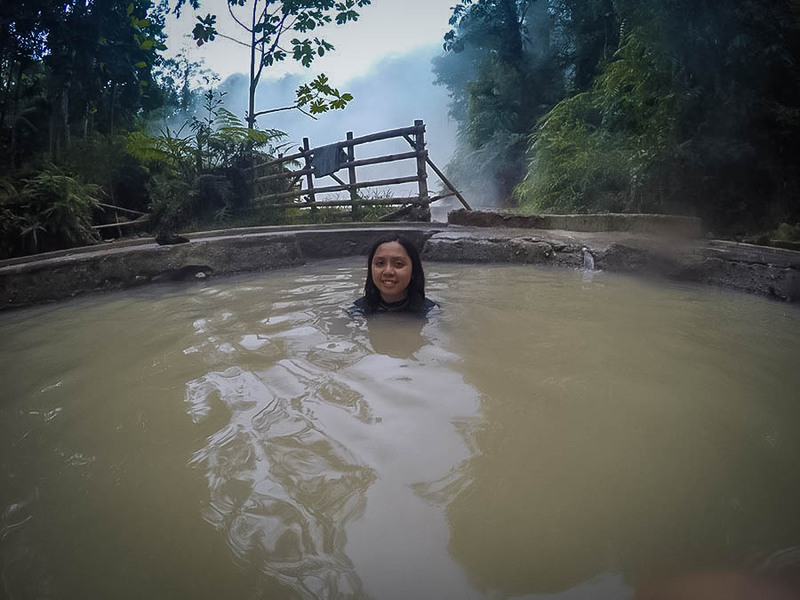 They created a hot spring by mixing water from the lake with water from a cold spring to make it fit for dipping. 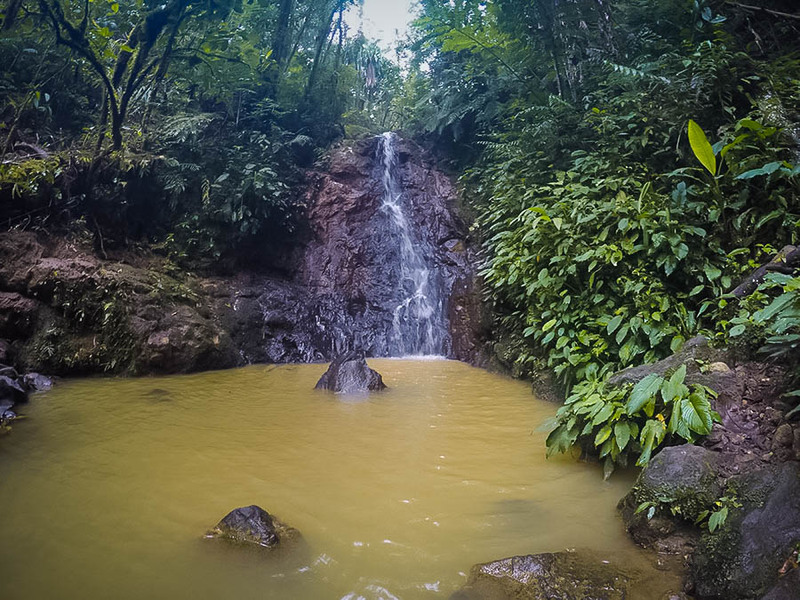 A five minute hike from the hot spring will take you to a waterfall. If you want to stay overnight, you can book a room at Lake Agco Mahomanoy Resort which is managed by members of the Community of Local Agribusiness Partners Multi-Purpose Cooperative. Some members of the community can even serve as your guide if you wish to climb Mt. Apo. The cheapest room you can get in this resort is a 2 person bedroom for ₱ 500/night. They have a steam bath and kid friendly pools in this resort. They both have cool and warm pools for the kids. The biggest pool is only filled with water from the cold spring. Most people are only able to swim in that pool for a few minutes due to the cold water temperature. Aside from the hot and cold springs, what I liked in this place is the view of the mountains. 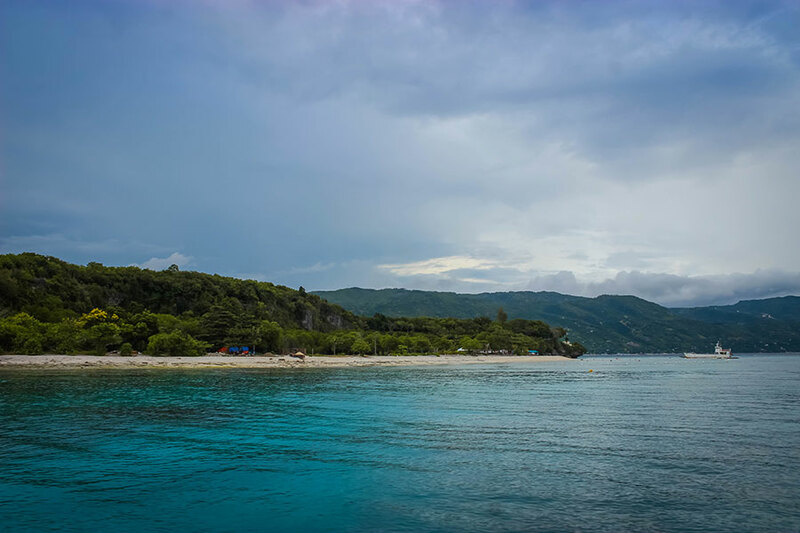 Sumilon Island, located in Southern Cebu, is a 24 hectare island with clear turquoise waters and white sands. 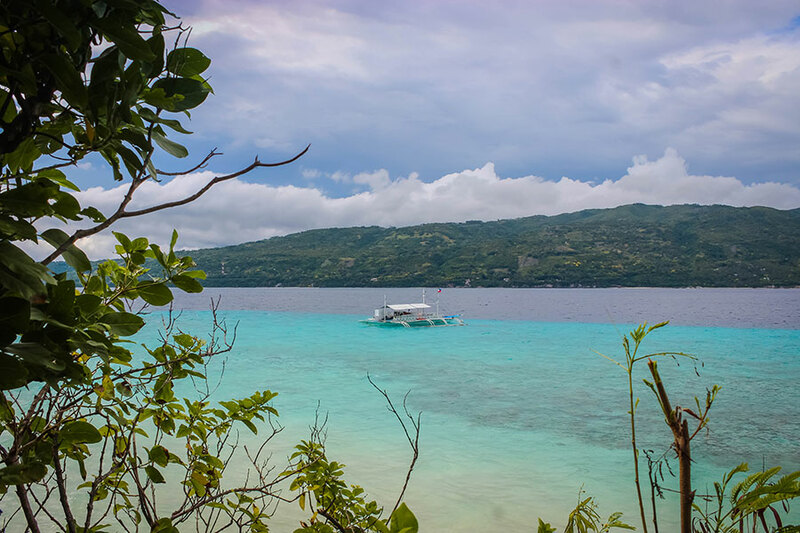 Most of the island is owned by Bluewater Sumilon Island Resort. 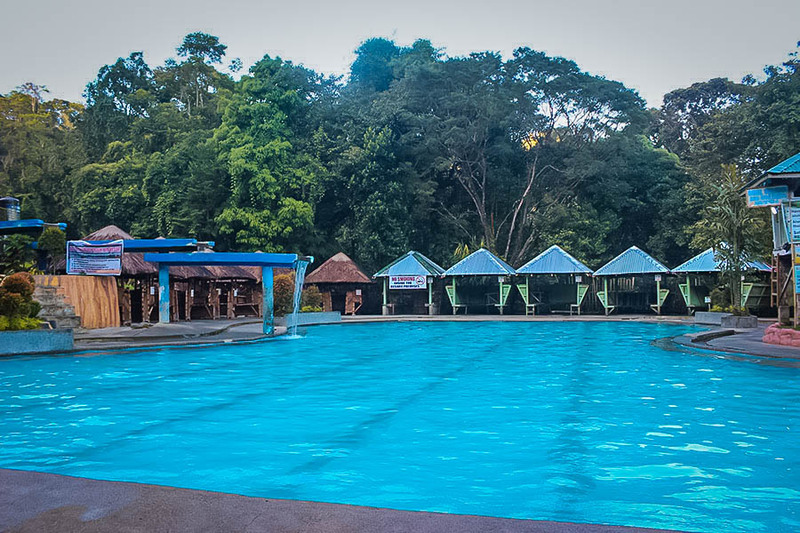 A day trip to the resort costs (inclusive of lunch buffet and access to swimming facilities) ₱1,500 on weekdays and 2,000 on weekends. 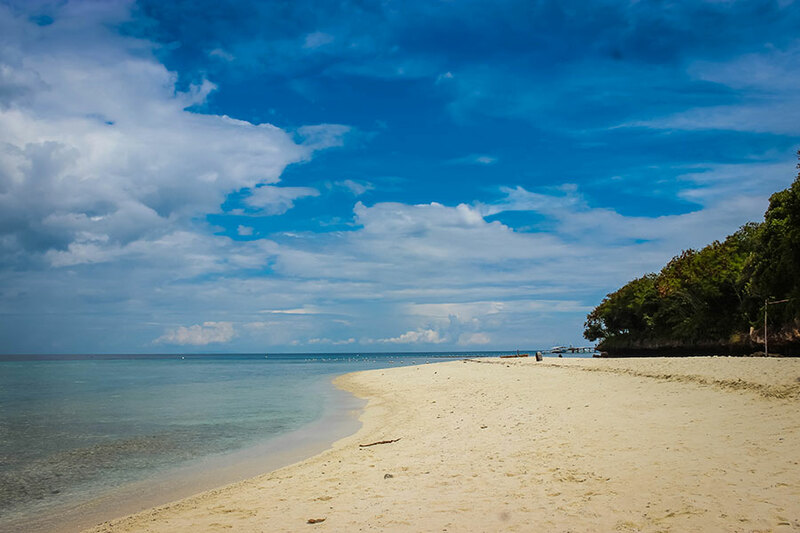 However, you can still visit Sumilon Island without shelling out thousands of pesos. There are other boat rental services in Oslob which can bring you to the island but your access is limited to the sandbar and the sanctuary. If you're traveling with friends, you can rent a boat for ₱1,500 - 2000 pesos depending on the size of your group. Aside from that, there's an environmental fee of ₱50 per head. You can either swim to the sanctuary or ask your boat guide to bring you there. 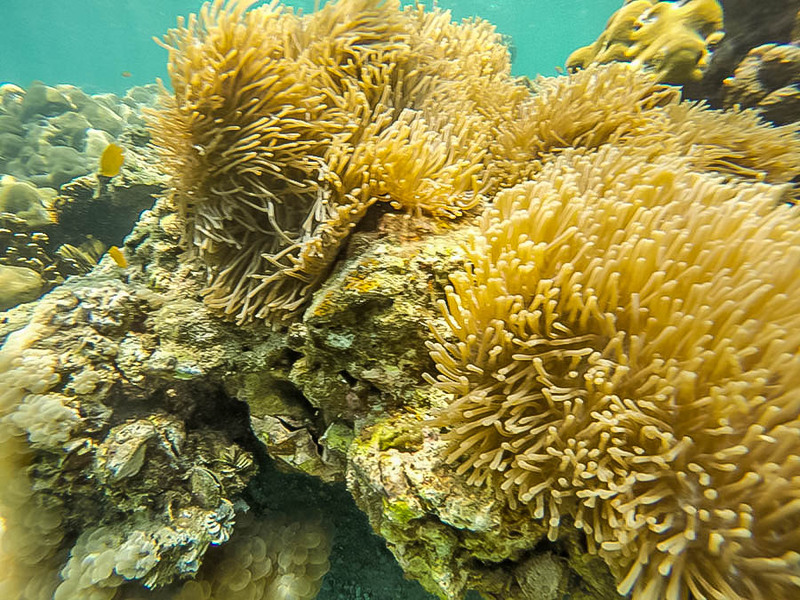 If you don't have a snorkel, you can rent one for ₱100. Life vests are already provided in the boat. 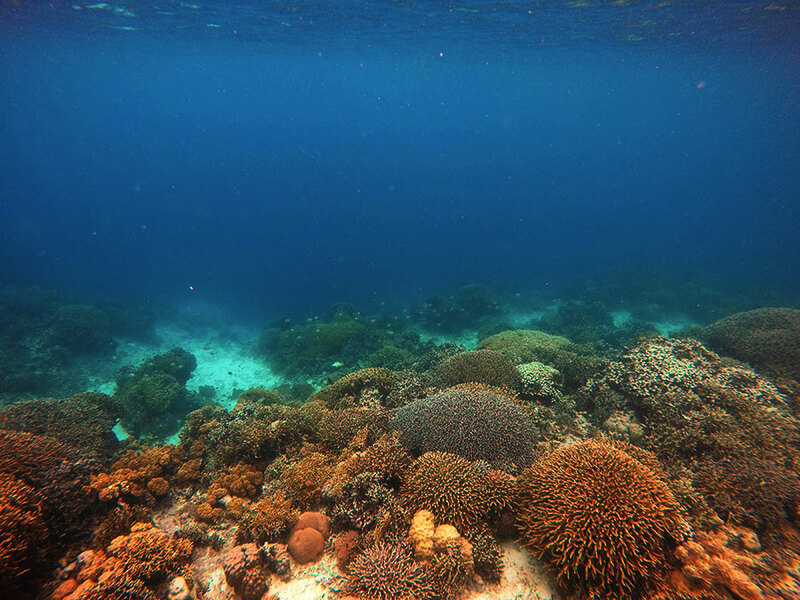 The sanctuary has both hard and soft corals and a healthy abundance of marine life. There are no food stalls in the island so you need to bring your own food and drinks. 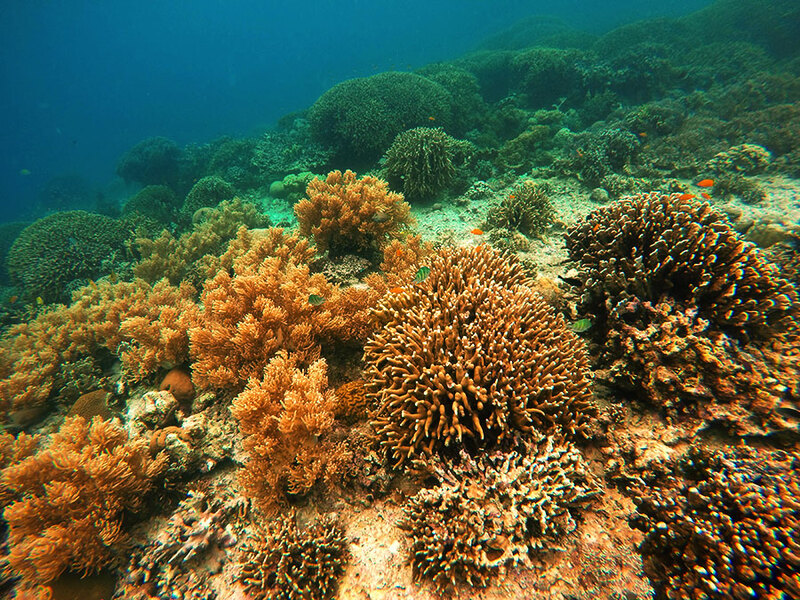 Do not touch nor step on the corals. Do not litter/ bring your garbage with you when you go home. Bring your own food & drinks since there are no food stalls. Kuala Lumpur, the capital of Malaysia, is a modern city with towers, skyscrapers and other buildings dominating the sky. 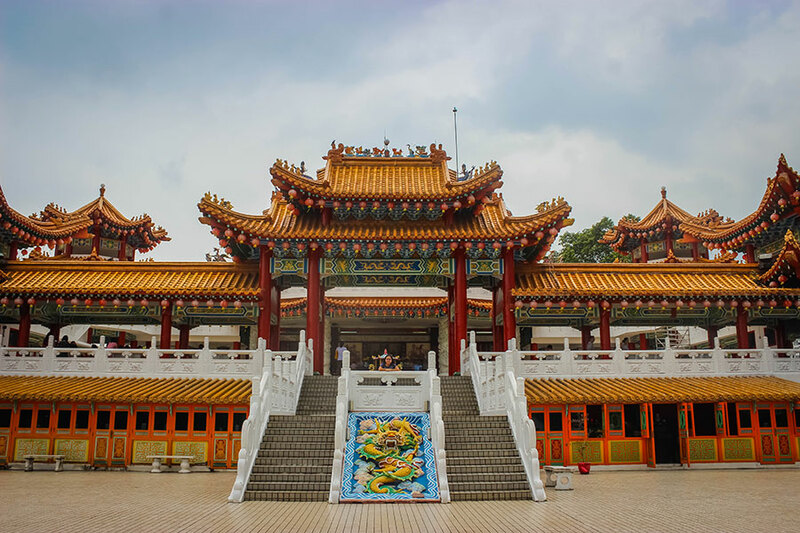 But also situated inside the city are classic sites such as ancient temples, thriving hawker centers and traditional Malay architecture. Kuala Lumpur is a six-hour bus ride from Singapore. You can buy your bus ticket at Golden Mile Complex for around 20 SGD. There are several bus operators inside the mall but StarMart Express has hourly and daily trips to Kuala Lumpur. You can get a hotel at KL Sentral for around 85 MYR per night. The advantage of staying at KL Sentral is it's near the train station where there are rides going directly to KLIA2 and tourist attractions such as The Petronas Towers and Batu Caves. 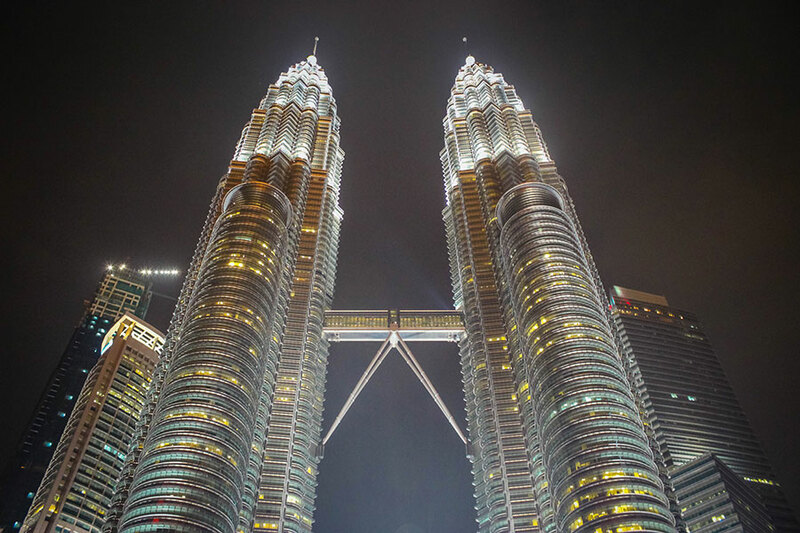 No trip to Kuala Lumpur is complete without visiting its most iconic landmark, the Petronas Twin Towers. You can go up there to visit the observation deck or walk on the skybridge that connects the two towers but you need to book your tickets in advance since the tower is often full of tourists. Just a short ride from Kuala Lumpur is the Batu Caves. It's a massive cathedral like temple filled up with Hindu shrines and temples. 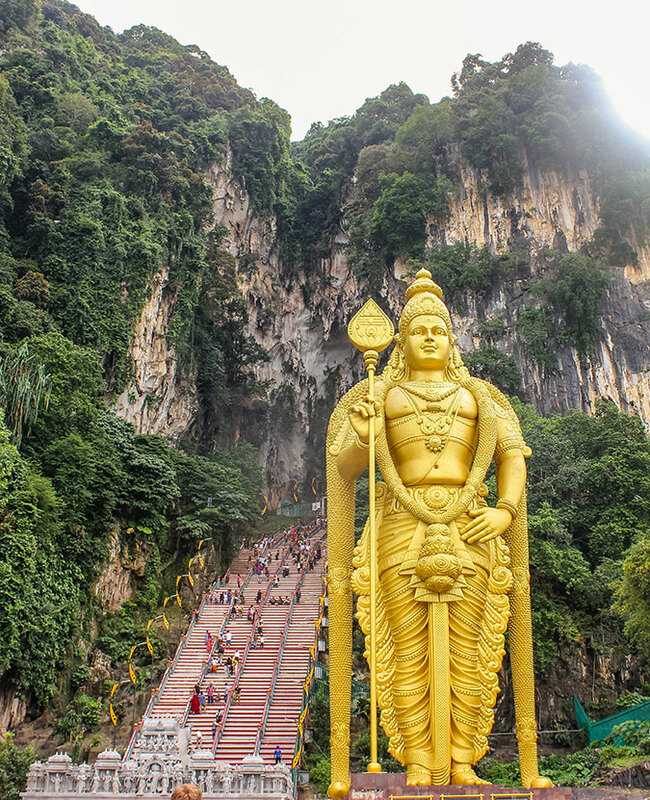 The most popular image here is the gigantic statue of Lord Murugan at the entrance. The entrance is free but donations are encouraged. You also need to cover your shoulders and legs when entering the temple. If in case you don't have the proper attire, you can rent a sarong for 5 MYR. You will get a refund of 2 MYR upon the return of the sarong. 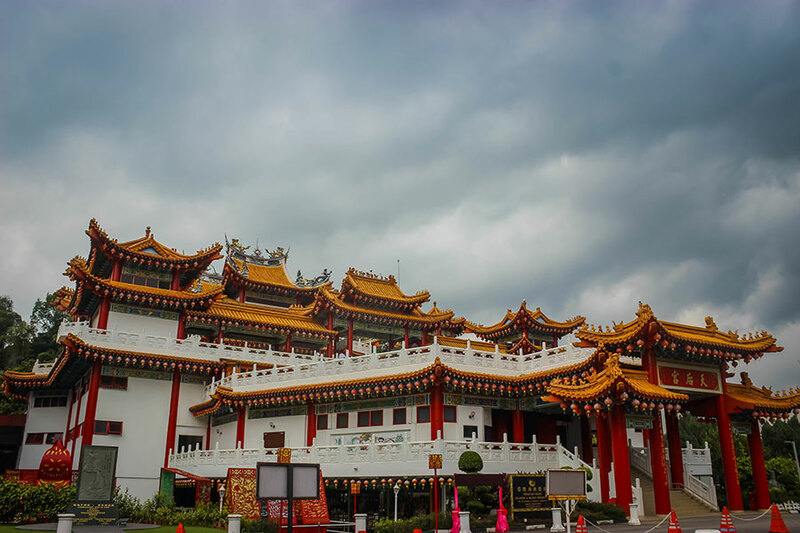 Thean Hou Temple is a six-tier Chinese temple in Kuala Lumpur. From KL Sentral, you can take a cab going to the temple. The fare is usually just around 10 MYR. Admission is free and no strict dress code is required. Several souvenir shops are on the first floor. The temple has a number of attractions such as the Fortune Bridge, Wishing Well, Medicinal Herb Garden and the Tortoise Pond. 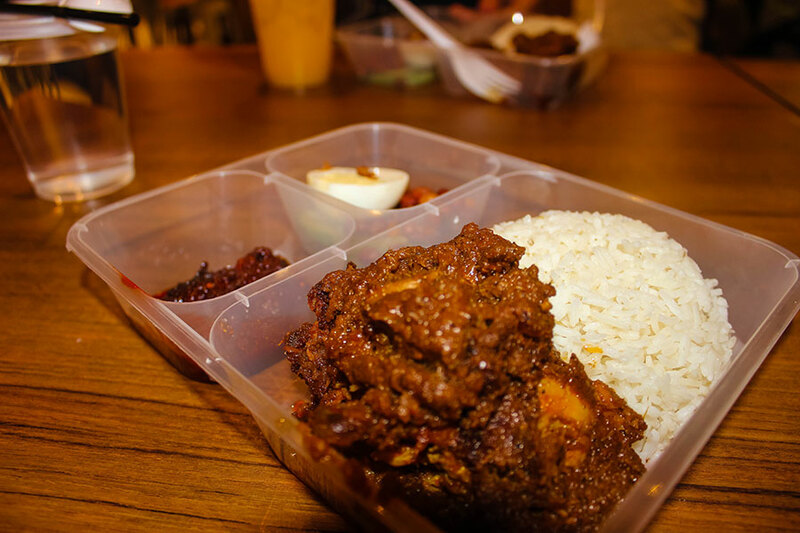 Kuala Lumpur street food is a mix of Malay, Chinese & Indian influences. Most dishes here are seasoned with coconut milk, ginger and lemon grass. There is a place here known for its hawker stalls, the Kampung Baru. Kampung Baru is a traditional Malay village inside the city. The village owners have refused modern development and turned their village into a foodie village. 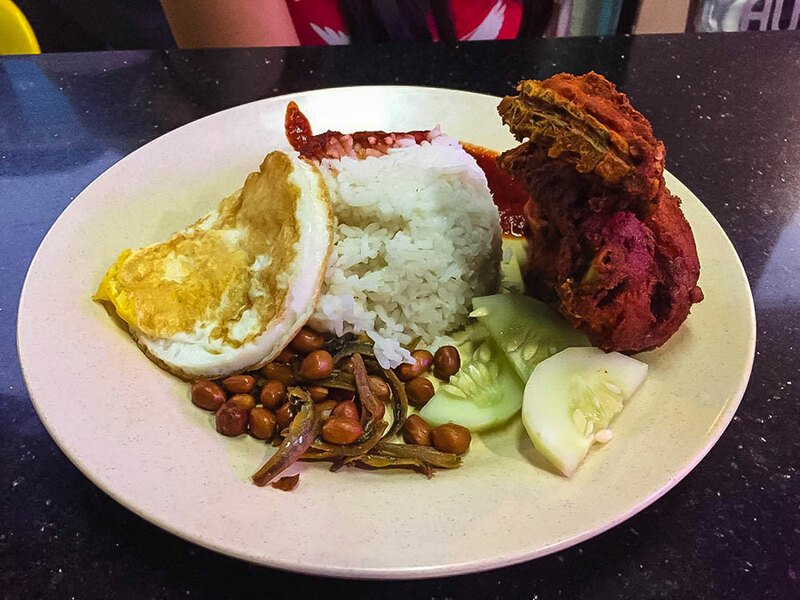 Nasi lemak is a rice dish cooked in coconut milk. It is also served with sambal, fried crispy anchovies, peanut and cucumber. This one is from KL Sentral just below where my hotel is. 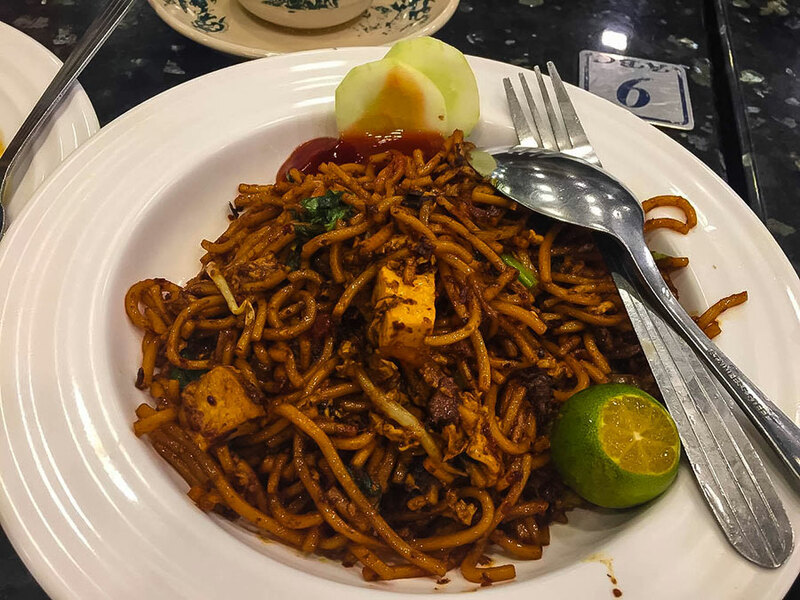 Mee Goreng is a spicy Malaysian fried noodle. 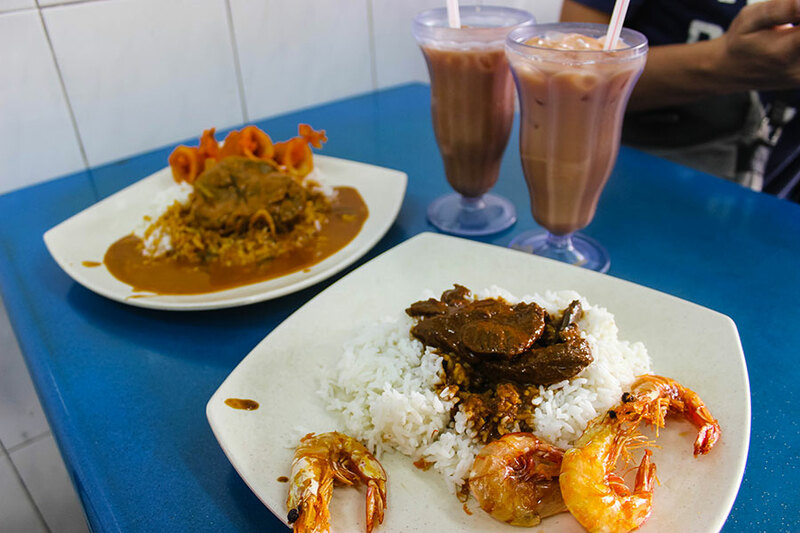 This is one of my favorite meals in Kuala Lumpur. I had this dish at Central Market, a cultural heritage site offering a bazaar-like shopping and eateries. 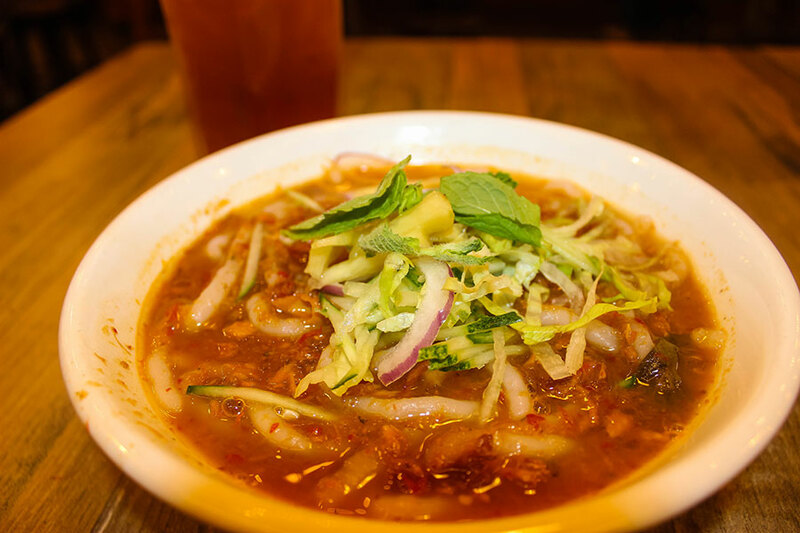 Asam Laksa is a noodle dish that comes with a sour fish and tamarind broth. This is from the airport before heading back home. It's delicious but of course more expensive.